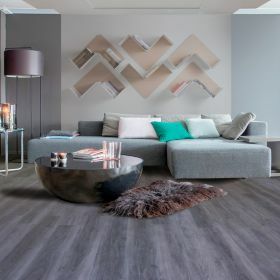 At Floorworld.com we have literally thousands of flooring products, comprising endless colours and designs, crucially we also have price points to suit everyone. 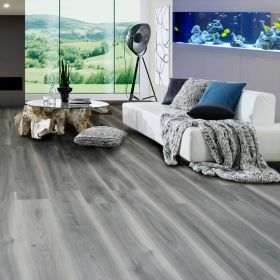 Engage is a Rigid Board otherwise knows as SPC (Stone Plastic Composite) which is a new, highly durable floorcovering for the budget end of the market. Manufactured using a similar process to luxury vinyl tiles where different layers are fused together under high pressure and heat combining to produce a floor that is very dimensionally stable which is great because the floor doesn’t expand and contract like solid wood floors or laminate, but the downside to that is SPC is very hard under foot due to the stone construction used to manufacture the core of the board. 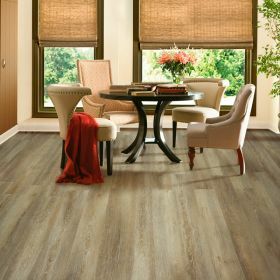 For example if you dropped a glass on a luxury vinyl tile floor it might smash or it might not but with a stone plastic composite floor it definitely will smash. It goes without saying that a child falling on an SPC floor will have more chance of injury than a luxury vinyl tile or real wood floor. 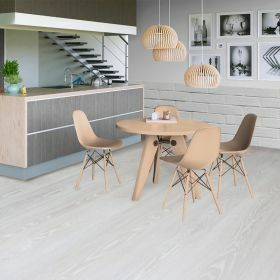 The upside of that is that because the board is rigid it is far more forgiving of dents and bumps in the subfloor underneath than say the softer luxury vinyl tiles and therfore requires less subfloor preparation. That said, we highly recommend to install an acoustic underlay under the floor as Engage SPC is generally more noisy underfoot than the slightly more expensive luxury vinyl tiles. 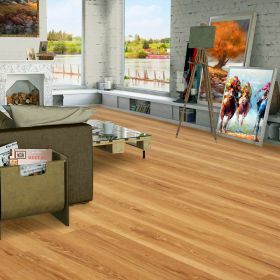 Engage Rigid Board is 100% waterproof and is a fairly good reproduction of a real wooden floor. 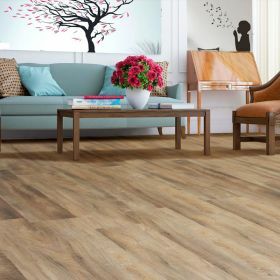 Complete with it’s 10 year commercial warranty and lower price point and the fact that the expansion and contraction are very minimal meaning Engage SPC flooring is perfect for commercial installations where cost, durability and aesthetics are deemed more important than underfoot comfort, sound insulation.